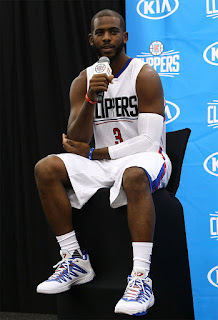 The NBA season is fast approaching and with the NBA Global Games happening, the Los Angeles Clippers were present as part of the Media Day and even present their new uniform. 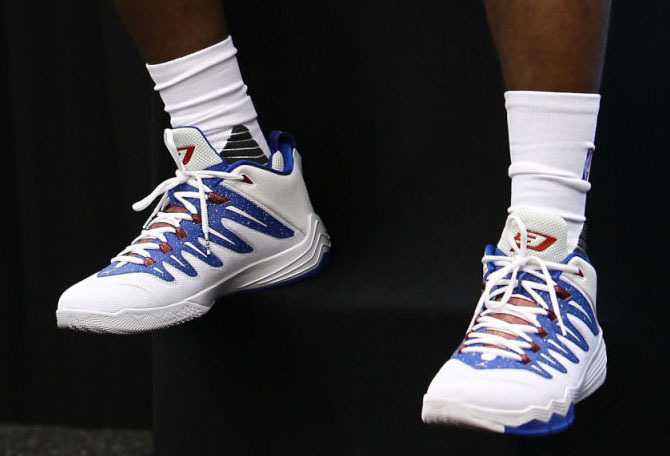 This is also the first time we get to see CP3's latest kicks donning the Clippers colorway. The team inspired colorway features a predominantly white upper with hits of blue with speckles on the tooling. Lace loops and and CP3's logo are in red to complete their team color. We have yet to see the CP3.IX in store shelves but at least we know that the Clipper colorway is good enough to draw your attention especially if you love CP3 and the lob city.